Integrative canine therapy centre. Combining the best complementary therapies to support your dog emotionally and physically. 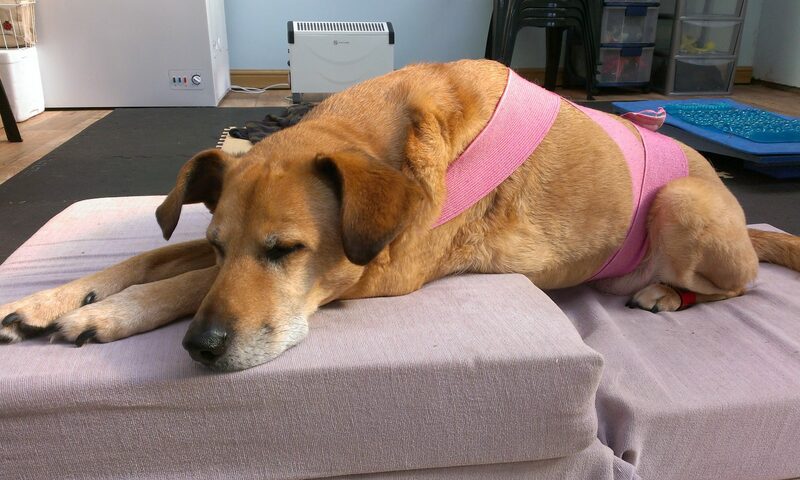 Does your dog need Physiotherapy? Part One. Julie Moss BSc.Hons., AdvCertVPhys, Dip. APhys. If your initial response is an immediate “no” then keep reading because I may change your mind! When I mention canine physiotherapy to people I often see their eyes glaze over, or a look of confusion appear on their face. I mean how on earth do you get a dog to do physiotherapy and why would it ever help them? Well you would be surprised how many dogs out there actually really need it and would benefit from it. The problem is that, because it is so misunderstood, it constantly gets overlooked as a viable treatment for dogs. In addition to that, lameness and musculoskeletal conditions in dogs often go undiscovered until there are very obvious and visible signs of pain. Both vets and owners alike can struggle with the idea that many dogs are coping with various levels of disability without it ever being noticed. I mean surely you would see it if a dog was lame – right? Or surely it would be picked up at the annual vet check? Wrong! Many dogs have a subtle lameness that is invisible to the untrained eye in most situations. They appear very active and even extremely fit and healthy from the outside. They don’t hold a limb up or fall over and they don’t cry out in pain. They will chase a ball all day and seem to never be tired. They may even compete in sports and win! However this doesn’t mean they have no pain or difficulty. They also can be missed at the vet health check. A 10 minute vaccination appointment is not adequate to see subtle lameness. In fact, even half an hour in a standard vet consulting room can also reveal nothing. The dog is in a state of high arousal, the room is small, they might be scared. All these things mean you struggle to ‘see’ the signs in that environment. So what are the signs……..? Reblogged this on Canine Mind and Body Balance.